Informing passengers of the transport options it offers and making their life easier is one of the priorities of the Brussels Public Transport Company. 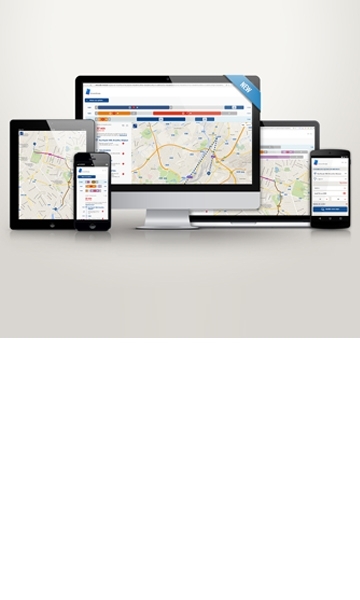 To make route planning even easier, STIB has just launched its new-look planning tool which is now easier to use and compatible with smartphones and tablets. STIB public transport is now at your fingertips, in just a few clicks. STIB has 4 metro lines, 17 tram lines, 50 bus lines and 11 night bus lines, 69 metro and pre-metro stations and over 2,000 stops spread across the 19 municipalities of the Brussels-Capital Region and its 11 surrounding municipalities. There are an almost infinite number of travel options, using a single mode of transport or a combination, not to mention the offer from TEC, De Lijn and the SNCB in Brussels. In order to help passengers find the best route to reach their destination, since 2001 STIB has offered a route planner on its website. This tool has just been given a new look, after an initial update in 2014. Easier to use, passengers now only have to complete one field - the address, stop or point of interest - for their start point and destination (previously, they had to enter the municipality then the street name). Once the first field has been completed, a dynamic map appears on the right. A new tool with a more modern design and easier to use, which includes all the public transport operators in Brussels and is now more "responsive" and compatible with smartphones and tablets which are used in increasing numbers. This new tool also enables passengers viewing it on their smartphone to use the phone's location services to identify their current location which means they simply need to enter their destination and the planning tool informs them of the best route. Every month, over 150,000 people use the route planner on the STIB website and approximately 400,000 people use the mobile applications (Android and iOS) and the mobile website (m.stib.be). Continuing to improve and consolidate the information provided to passengers, as well as the transport offer itself, is therefore a key focus for STIB and the new tool, compatible with smartphones and tablets, will help to reach this new and growing "connected audience".